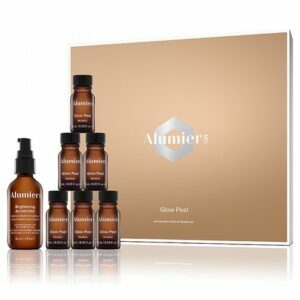 The AlumierMD chemical peels have been developed by an international team of scientists, dermatologists and skin professionals. Chemical peels can alter the state of the skin, giving it a fresh new look and a clearer visage. 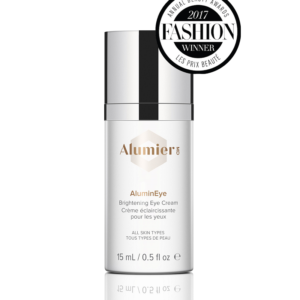 With over 100 years worth of experience, AlumierMD can provide the right treatment for your skin profile. It’s no wonder they’ve withstood the test of time with their efficacy as well as their savviness in relieving skin conditions using innovative science. Clinically proven peels for ALL skin types. Paraben Free. Not tested on animals. Chemical peels are treatments employed to repair, improve as well as replenish the skin’s surface. Consequently, changes towards the better happen at a perceivable level for both the texture and tone of the complexion. Due to exfoliation and the stimulation of new cell turnover, the acid in chemical peels causes the connection between dead skin cells to loosen. As a result, this causes the peeling and removal of superficial layers of the skin. A brand new, smooth complexion is revealed. Free of pigmentation, fine lines, wrinkles, acne or other conditions that were plaguing it, the radiant skin surface shines through successfully. Chemical peels work effectively through the exfoliation of surface layers of the skin. By going deeply, the active ingredients as well as the method of application become catalysts for the rapid cell turnover that the body experiences. As a result this leaves way to a healthier complexion that can rejuvenate itself through regular peels. Hence why it should come as no surprise that the face looks younger, radiant and brighter. Firstly, the client can describe his current condition and have the AlumierMD chemical peel treatments. Wrinkles, spots, sun damage and redness are classic culprits more often than not. 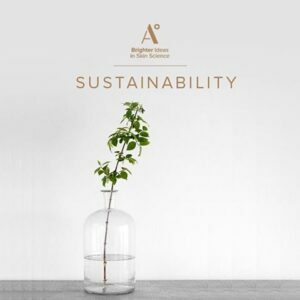 As a result of the chemical peels, the complexion of the individual will feel the differences in pH climate swaying towards an acidic environment. Secondly, to improve the pre-existing condition, there will be individual-specific treatments. One chemical peel session can conclude with visible changes in the skin that becomes brighter and smoother. However, the previous skin outcome needs more treatments to maintain and improve upon. Furthermore, the severity of the condition should be directly proportional to the exposure to the chemical peels. That is because through accustoming the skin to the cell turnover, the body will change it’s exfoliation habits. Whether it’s fine lines or inflamed acne, chemical peels can only be beneficial in the long term. The skincare professional will prove invaluable in exposing your complexion to the gradual exfoliation process. Since if it is too sudden, the body will interpret the foreign active ingredients through the pain they induce. This causes trauma and pigmentation changes. Lastly, to make sure the skin remains protected and replenished throughout the treatment, there are homecare products which are necessary for your skincare regime. What type of peels are on offer? AlumiedMD offer a range of light to medium depth peels performed by trained skincare professionals. Because of the acidic nature of the chemical peels, you should take into account expert skincare advice. For the Chemical Peels to work deeply and have long lasting effects, it’s necessary to have repeated treatments. 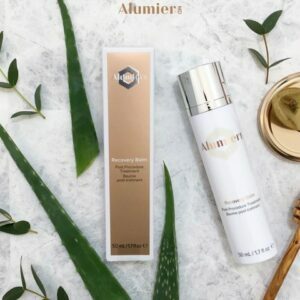 The AlumierMD professional will distribute them along several weeks. Consequently, this will eliminate side effects and downtime associated with deep peels. How long can I expect the treatment to last? Clients see immediate results from the first chemical peel. Depending on the condition, for more significant results the chemical peel treatment should last up to eight weeks. The body can react in extreme, altering ways to chemical peels. That is because trauma of the skin can induce pigmentation changes. Albeit, this can all be circumvent through a skincare AlumierMD expert introducing the exfoliation gradually. The skin has an adjusting period as a result. How is the skin accustomed to the treatment? By exposing it to pretreatment products, we pre-condition the skin to accept the subsequent chemical peels. Hence there will be less complications and results won’t fail to arrive quicker. What does the post-treatment period consist of? Skin needs both healing and soothing. This is true especially after chemical peels. Products offered by professional treatments can minimise complications as well as protect and maintain the skin. Intensely hydrating and nourishing treatment that uses antioxidants and moisture binding ingredients leaving a plumper, softer skin as well as a dewy complexion. Individual serums dependent on skin profile are also used. Fruit enzyme resurfacing solution. Exfoliates and determined skin renewal. 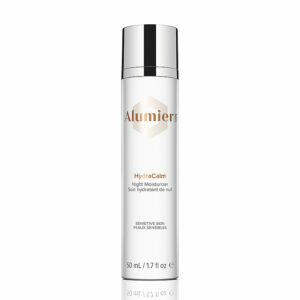 In addition, reduces fine lines, wrinkles and hyper pigmentation while maintaining hydration. Includes individual-tailored skin treatment serums. Purifying and retexturing the skin through a unique blend of clay as well as exfoliating ingredients. Clears trapped oil, promoting skin renewal. Brightening enhancers and targeted serums for specific skin conditions included. Clearer, hydrated skin. Relaxing body and mind experience. Treatment includes luxury massage, lymphatic drainage and pressure point massage which releases toxins and soothes pain. Customisable treatment, leaves you refreshed and balanced. For those with less time on their hands, the lymphatic drainage massage combines high performing active ingredients with a thorough deep cleanse. 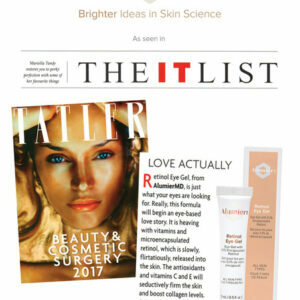 Releases toxins in the skin through customisable treatment. Radiant, refreshed look as a result. Eye Rescue Pads are soothing and cooling gel pads for the rejuvenation of the eye area. Additionally, through a pressure point massage, circulation is improved, leaving eyes looking brighter and refreshed. Skin resurfacing treatment using retinol as well as lactic acid. Reduces fine lines, wrinkles and hyper pigmentation caused by sun damage or aging. Boosted collagen production and rapid cell turnover leave a radiant complexion behind. Pore clear up and prevention of congestion as well as acne through exfoliation, cell turnover and hydration. Treatment involves salicylic acid, lactic acid, natural astringent. Smoother, clearer skin. Alpha hydroxy acid resurfacing peel containing lactic acid. Exfoliates superficial layer, boosting cell turnover and stimulating collagen. Treats fine lines, wrinkles, uneven skin tone, discoloration, sun damage and large pores. Powerful combination of lactic and salicylic acid designed to improve the texture of the skin through exfoliation. Rapid cell turnover resurfaces skin that has been damaged by acne, congestion, hyperseborrhea and hyper pigmentation. Our amazing Glow Peel is a combination of lactic acid, salicylic acid making it a multipurpose resurfacing solution effective in minimizing the appearance of fine lines, wrinkles and hyperpigmentation issues like age spots, discolouration and uneven skin tone. This formula exfoliates dead skin cells and stimulates cell renewal. To suit individual needs, Glow Peel is customisable by strength by numbers of layers. Immediate and visible results are seen. Do we realise how pollution is effecting our skin?